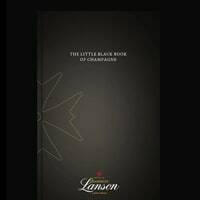 Lanson Champagne is giving away free champagne guide titled “Little Black Book”. This book is full of champagne facts, tips and other interesting topics like history of champagne that you might like. They are giving away this free book in order to celebrate their 250th anniversary. Click on “GET IT HERE” button and verify you age that you are over 18. Afterwards click on ‘Claim Yours' button and you will get the free guide in a few days.